Written on: Wednesday, January 04, 2017. Written on: Thursday, August 25, 2016. Written on: Tuesday, December 29, 2015. How Do I Stop Pushing My Bowling Swing? Written on: Sunday, December 27, 2015. Written on: Saturday, November 28, 2015. How Do I Line Up Properly To Start My League? Written on: Saturday, November 14, 2015. Written on: Thursday, September 24, 2015. Should I Worry About My Bowling Ball Speed And Rev Rate? Written on: Friday, September 18, 2015. Written on: Thursday, September 10, 2015. If My Bowling Ball Stops Hooking, Should I Buy A New Ball? Written on: Sunday, August 23, 2015. Written on: Sunday, August 02, 2015. How Can I Quickly Improve My Spare Shooting? Written on: Tuesday, June 30, 2015. What Are Some Simple Bowling Swing Tips? Written on: Saturday, May 30, 2015. How Can I Prepare My Bowling Swing Before A Tournament? Written on: Monday, May 25, 2015. How Do I Line Up To The Bowling Pocket? Written on: Monday, May 04, 2015. How Do I Become A Better Spare Shooter? Written on: Tuesday, April 14, 2015. Am I Forcing My Shot When Trying Hard To Bowl Well? Written on: Wednesday, April 08, 2015. How Can I Bowl With A Smooth Slide? Written on: Tuesday, February 10, 2015. How Do I keep My Head Still When Bowling? Written on: Sunday, February 01, 2015. 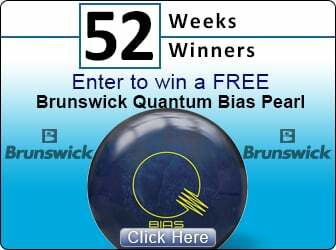 How Can I Stop Turning My Bowling Ball Early? Written on: Sunday, January 18, 2015. Written on: Thursday, January 15, 2015. What Are Some Bowling Pitfalls I Should Avoid? Written on: Saturday, November 19, 2011. Written on: Wednesday, January 18, 2006.